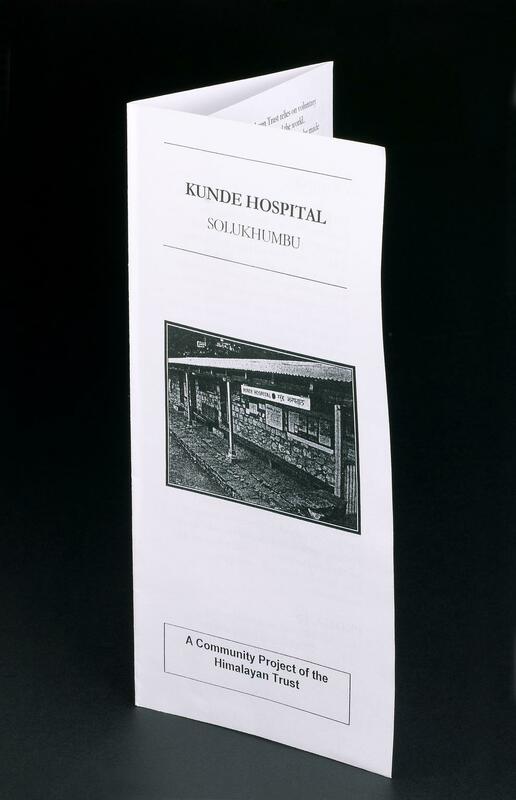 General leaflet from Kunde Hospital, Nepal. Front three quarter view of folded leaflet. Black background. Leaflet giving general information about the Khunde Hospital, Nepal, c.2005. The Kunde Hospital in Nepal provides medical care for up to 10,000 Sherpa people in the local area. 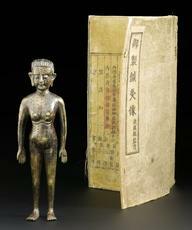 Many walk for three or four days to reach the fifteen-bed hospital in the shadow of Mount Everest. Sherpa people living in the Himalayas on the border of Nepal are happy to combine modern hospital treatment with more traditional medical beliefs and healing ceremonies. The hospital is funded by the Himalayan Trust, which was set up in 1960 by Sir Edmund Hillary (1919-2008), who along with Tenzing Norgay was one of the first men to reach the summit of Mount Everest, in May 1953.